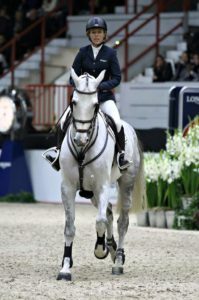 Meredith Michaels-Beerbaum wins third place with Comanche at the Helsinki International Jumping World Cup. She remains with no faults. With this second stop in Helsinki she takes second place in the World Cup ranking. Congratulations from us and Good Luck!